If you've ever been to Vegas, you know how much glitz and glam the city offers. Lights everywhere, music, people in costumes—and that's just on the strip. It gets even better when you get into the casinos and theaters. For those who haven't been, the city is probably on a list of places they want to visit sometime, but just haven't gotten around to it yet. Why wait? Bring the fun of Vegas into your community with a Casino Night fundraiser! You'll need a place with plenty of space. Real casinos are usually huge, covering several thousand square feet, almost every inch taken up by slot machines, gaming tables, and bars. You don't need to get that elaborate, but you do want to have enough room for the gaming, and for people to be able to sit down and enjoy some refreshments. If your group has access to a facility, clear some space for the casino equipment, and set up some tables and chairs. Maybe include one large table to hold snacks and beverages. If you don't have a place already, check into renting a hall. For this event, you may want to avoid church and school facilities. We'll get to that shortly. A Casino Night fundraiser will take a little more planning and organization than other types of fundraising events because people and groups don't usually have casino equipment sitting around in storage! Many party planning companies offer these types of items for rent. Check your local listings, or do a search online to find a company near you. Before you call to rent anything, decide what games you want to offer. Games like blackjack, Texas hold 'em, and roulette need dealers to manage the tables. Recruit volunteers from your group to run the games. Some companies even rent out slot machines which don't require anyone to manage them, but you will need to be able to either provide tokens, or make change for your guests. Remember, you'll also need cards and chips for the other games. If this is starting to sound a little complicated, consider hiring a casino party planning company. They not only provide the equipment, but the staff to manage it. They'll take care of all the setup and cleanup. All you have to provide is the location. For an added twist of fun, why not ask your guests to dress in their best Vegas-inspired outfits? They can go for the '40s glamour, or the days when the Rat Pack made Vegas a prime destination. Much like a fundraising ball, you can make it a formal event, requiring evening gowns and tuxedos. A nice touch would be to offer valet parking. Get a few members of your group to volunteer as valets, and put all the tips they collect toward your fundraising goal. You could also have wait staff serving drinks at the tables, just like they do in Vegas. One sure way to add to the ambience is to provide music, whether it's a live band, or a stereo system playing CDs. For true Vegas style, ask a local magician to donate some of his time to do his act for your group. Add a stand-up comedian, and you've got yourself a Vegas show! 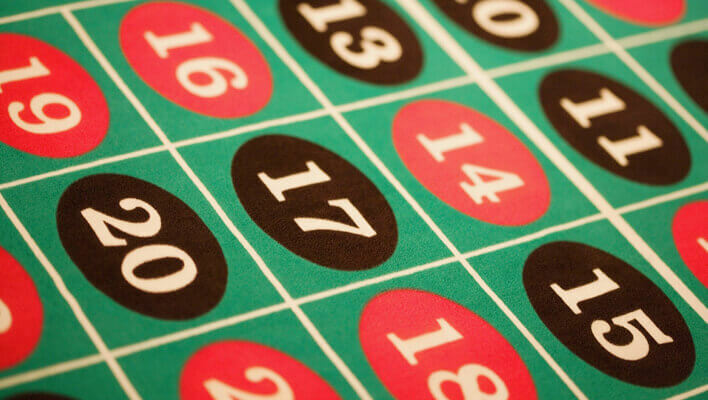 There are a few ways to go about raising money with a casino night. You can charge admission for the entire event, and let guests play the games with fake money and chips, just for fun. You may also charge separately for refreshments, or include them in the price of admission. Or, you can make things a little more interesting, and open it up to raising even more money by allowing guests to play the casino games with real money, with the understanding that any money they leave at the tables goes towards your cause. If you go with the real money option, be sure to provide your guests with documentation of the amounts of their donations for tax purposes. You can pre-print several letters, and fill in the individual amounts at the end of the night. Be sure to keep copies for your own records. Although a casino night fundraiser is set up for charity, it can still be considered gambling. Some states have stricter rules than others regarding gambling, and may require licenses, or may prohibit this type of fundraiser altogether. Before you start, check with your local government and educate yourself on the rules and regulations set forth for your community. In addition, if you decide to serve alcohol at your casino night event, check the local laws about liquor licenses and requiring proper identification. Remember, a casino night fundraiser is a grown-up event, so ask your guests to leave their kids at home. You should never ask talent to donate anything, a well ran professional fund raiser will monetarily compensate all talent and pay them well. Your suggestion to “ask” a local magician to donate time is way off the mark! You wouldn’t ask a plumber to fix your pipes for free or a surgeon to open your skull in his spare time. It’s different if it is someone you know or a magician who has approached the fund raiser because it is a cause that is meaningful to that magician. Time is the most precious commodity anyone has you can’t ask for it for free. I think you are well meaning here but misinformed and spreading that misinformation. i disagree, vick. organizations and individuals often donate products and services for specific events. if you don’t ask, you don’t know. and if you’re raising money for a cause, you need to maximize you budget. and if they are a local artist, they will more than likely love the added exposure. No artist loves working for exposure. People DIE from exposure (see Donner party), as a 15 year experience professional performing artist please let me say again. The best organized fund raisers have budgets for entertainment. These are the fund raisers that bring in the most funds for their causes. It does hurt to ask. It is an insult. It’s like you don;t respect the years, the work that goes into perfecting an art form. Plus there are the costs just to perform, the expendables, the deprecation on equipment, the initial investment in equipment plus the lost opportunity cost (if someone is doing your gig for free or cheap they aren’t out getting their regular pay). PLEASE STOP ASKING ARTIST TO WORK FOR FREE!!! V- YOU can always say no. We’ve had multiple artists volunteer to get exposure AND inclusion in a well extended mailer that they wouldn’t have had before on their own and without considerable expense. We also have a magic shop close to our venue and their graduating classes volunteer at events to give them the confidence to move forward on their own. Don’t project your view on the matter to EVERYONE.